Not to be confused with the Drupal Panels module, instead a jQuery Mobile Panel allows us to add some great UX features to our apps. If you want to use the same panel on multiple pages you can place the markup outside the page. 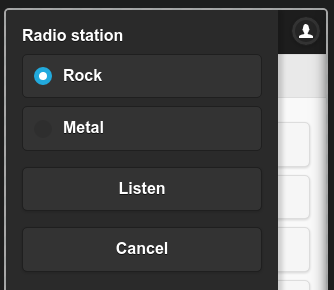 This can be accomplished using jQuery Mobile External Panels. The following example shows how to have a single form rendered in the DOM, and have it be available as a panel on every page (this is a great feature for keeping the DOM slim). // add our panel, otherwise the user may not enjoy the UX. // Add a panel outside of the page template, only once. // Build the panel attributes and render it into an html string. // and then trigger the creation of jQM styles on the form. // Cancel button (closes the panel). // Return the assembled form. * Define the form's submit function. $('#my_module_left_panel').panel('close'); // Close the panel. Now this single form can be used across the entire app, and only appear in the DOM once! Great for performance, and easy to maintain. This button can go anywhere we like: on a page, in a menu, in a block, etc. We recommend using the block button approach mentioned in the Slide menus tutorial. // and add the home button in the control group.